Late 1800s the Benton Harbor Motorcycle is a rare survivor from the pioneer period of American automobile development. 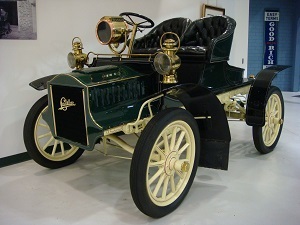 Restoration research revealed that this may be the first vehicle in America built from scratch as an automobile as opposed to construction on a modified horse-drawn carriage. 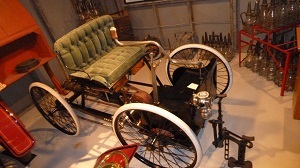 A replica of the1896 Ford Quadricycle is on display on the Museum’s Lower Level; Ford’s first self-propelled vehicle received its name from its use of four standard bicycle wheels. Knowledge Tourism develops personalized travel itineraries based on client interests by leveraging an in-depth knowledge of your destination, superior client service in the planning stages and throughout the trip or event as well as logistics expertise to reduce accommodations and transport costs and transfer times. 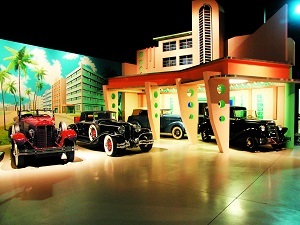 1930s a decade that represents the highpoint of American automotive design with decorative bodies and flashy interiors. 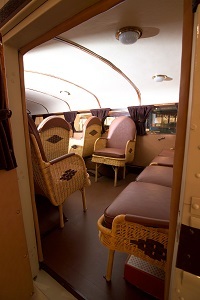 Car design followed the Art Deco inspired architecture of the period. 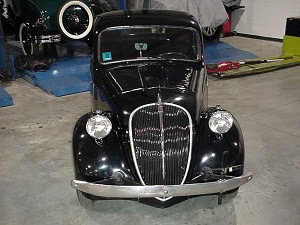 Autos on display include the 1930 Dupont Model G Convertible, 1930 Cord L-29 Convertible, a 1936 Chrysler C-9 Airflow and a 1935 Brewster four door sedan. In other areas of the Museum, visitors can see a 1930 Buick Special, Series 40, and a 1935 Autocar 1200 gallon Fuel Tanker. 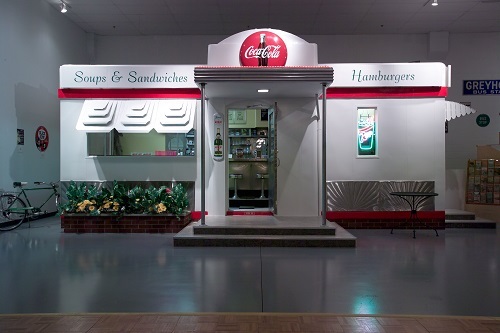 1950s America emerges from World War II economically strengthened and automobile production sets new records. 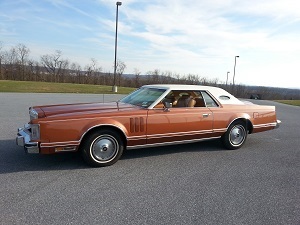 Power, size and luxury dictate the auto’s development for this decade. 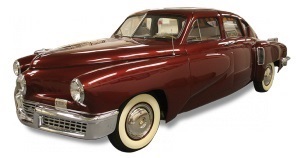 While large cars mark the era, the domestic compact car begins with the Nash Rambler. The Drive-In was a popular place for people to congregate in their cars to watch movies on an outdoors big screen. 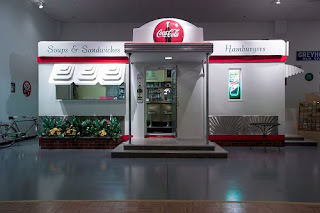 Part of the fun was the late night adventure. 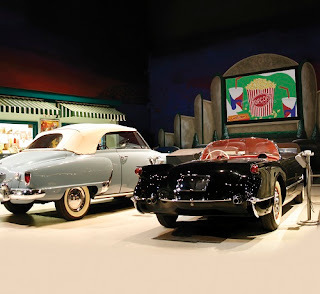 AACA’s Drive-In scene has a variety of 50’s vehicles including a 1954 Corvette Convertible and a 1956 Chevrolet step-side pick-up truck. 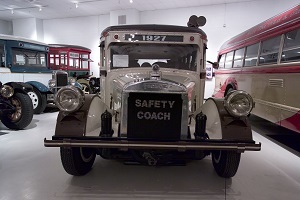 The Museum of Bus Transportation has partnered with the Antique Auto Club of America Museum to provide museum quality displays of the bus industry - intercity, transit, and school - for the public. It also serves to showcase the industry’s growth and development in the United States and celebrate the role that the bus industry continues to play in mobility and progress of the American public. The World’s Largest Collection of Tucker Automobiles the enthusiasm and creativity that propelled Preston Tucker and his vision for the Tucker automobile is something that has captured the hearts of many. 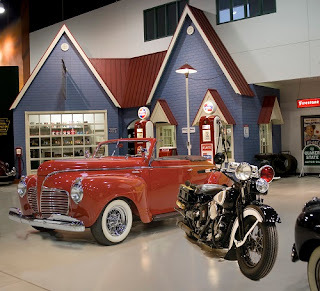 The AACA Museum is home to the David Cammack Collection which includes three 1948 Tucker '48 vehicles, the factory Tucker test chassis, thousands of engineering drawings and blueprints, original Tucker parts, several engines and many other artifacts and displays.